Brian Moench is president of Utah Physicians for a Healthy Environment. Radiation from Japan is now detectable in the atmosphere, rain water and food chain in North America. Fukushima reactors are still out of control and hold 10 times more nuclear fuel than there was at Chernobyl, thousands of times more than the bomb dropped on Hiroshima. The official refrain is, "No worries here, perfectly harmless." Our best scientists of the previous century would be rolling over in their graves. In the 1940s many of the world's premier nuclear scientists saw mounting evidence that there was no safe level of exposure to nuclear radiation. This led Robert Oppenheimer, the father of the atom bomb, to oppose development of the hydrogen bomb. In the 1950s, Linus Pauling, the only two-time winner of the Nobel Prize, began warning the public about exposure to all radiation. This opinion, ultimately endorsed by thousands of scientists worldwide, led President John F. Kennedy to sign the nuclear test ban treaty. In the 1960s, Drs. John Gofman, Arthur Tamplin, Alice Stewart, Thomas Mancuso and Karl Morgan, all researchers for the Atomic Energy Commission or the Department of Energy, independently came to the conclusion that exposure to nuclear radiation was not safe at any level. The government terminated their services for coming up with what Dr. Gofman called the "wrong answer," that is, the opposite of what the AEC wanted to hear. The top Russian nuclear physicist in the 1960s, Andrei Sakharov, also a Nobel Prize winner, and Vladimir Chernousenko, who the Soviet Union placed in charge of the Chernobyl cleanup, are among other international experts who drew similar conclusions. To distract from the danger of man-made radioactivity, we hear from nuclear cheerleaders that watching TV and airline travel also expose us to radiation. True, although they never mention that flight crews have higher rates of breast and skin cancer. Equating those very different types of radiation is like equating the damage of being hit with ping pong balls (photons) with being hit by bullets (beta particles). Your TV doesn't shoot bullets at you. Even if your TV only shot a few bullets per show, you probably wouldn't watch much TV. Furthermore, the damage done by these radioactive "bullets" can vary tremendously depending on which organs are hit. To carry the analogy one step further, spraying a few bullets into a large crowd can hardly be considered harmless even if the ratio of bullets per person is very low. Bioaccumulation increases the concentration of many contaminants as one moves up the food chain. Beef is much higher in dioxins than cattle feed and tuna fish have much higher mercury than their marine environment. Radioactive iodine, cesium, and strontium, all beta emitters, become concentrated in the food chain because of bioaccumulation. At the top of the food chain, of course, are humans, including fetuses, and human breast milk. In 1963, one week after an atmospheric nuclear bomb test in Russia, our scientists observed the magnifying power of bioaccumulation when they detected radioactive iodine in the thyroids of mammals in North America even though they could not detect smaller amounts in the air or on vegetation. Bioaccumulation is one reason why it is dishonest to equate the danger to humans living 5,000 miles away from Japan with the minute concentrations measured in our air. If we tried, we would now likely be able to measure radioactive iodine, cesium, and strontium bioaccumulating in human embryos in this country. Pregnant women, are you OK with that? Hermann Mueller, another Nobel Prize winner, is one of many scientists who would not have been OK with that. In a 1964 study, "Radiation and Heredity", Mueller spelled out the genetic damage of ionizing radiation on humans. He predicted the gradual reduction of the survival of the human species as exposure to radioactivity steadily increased. Indeed, sperm counts, sperm viability and fertility rates worldwide have been dropping for decades. These scientists and their warnings have never been disproven, but they are currently widely ignored. Their message is very clear: Virtually every human on Earth carries the nuclear legacy, a genetic footprint contaminated by the Cold War, Three Mile Island, Chernobyl, the 400-plus nuclear power plants that have not melted down and now Fukushima. Albert Einstein said, "The splitting of the atom changed everything, save man's mode of thinking; thus we drift towards unparalleled catastrophe." 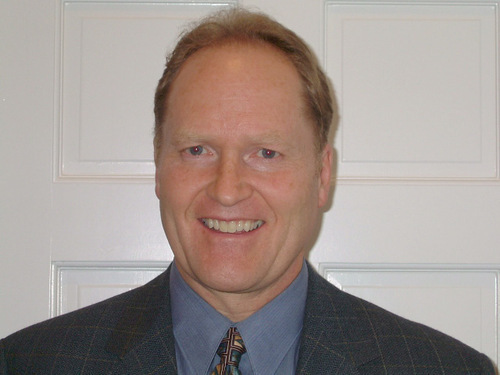 Brian Moench is president of Utah Physicians for a Healthy Environment and a member of Union of Concerned Scientists.